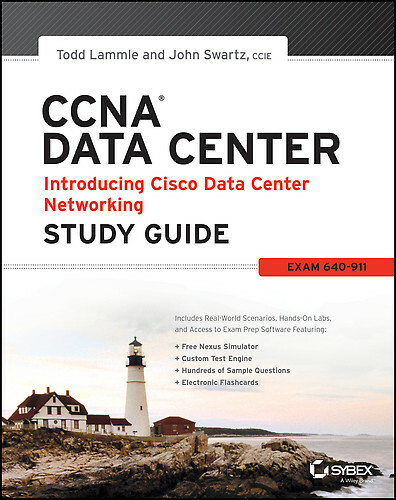 If you made it past the earlier chapters this one should be interesting, like before I am going through each chapter of the CCNA Data Center Study Guide from Todd Lammle. Comment below if you have questions in this chapter, last week we learned about subnetting and in this chapter we will learn about the NX-OS which is Cisco’s Data Center switches. Let’s begin! Overview: This was short chapter in introducing the NX-OS product line and into the virtualized enviroments that data centers are now becoming. In this chapter you will discover that Cisco wants all traffic both SAN and LAN unified on one switch instead of being separate devices. The NX-OS is a Linux system with some pretty neat isolation features with the data and control plane separated and the ability to offload crunching to dedicated CPUs instead of sharing the load. I also liked how the system manger worked, it reminds me of a watchdog making sure everything is running in par and the ability to restart processes with automatic restart thanks to PSS. (Persistent Storage Service) Being able to upgrade the software and still being able to forwarded traffic is also very cool, thanks ISSU (No downtime around here 🙂 ) I hinted on an earlier post that the Nexus runs on efficiency and only loads what it needs or configured, why load up NTP if you are not going to use it? Know some common process that can run on the NX-OS like STP, CDP, and HSRP. All of these have to be turned on before you can use them. Some other cool things you can do is VRF which separates the routing table for multi-tenancy or for security requirements. Finally being able to a VDC (virtualized dedicated device) which is able run another copy of the NX-OS on the same hardware and depending the model of Nexus hardware you are using you can run up to eight different systems! My thoughts: Very cool stuff going on in the Cisco world, if you never heard of the Nexus and this is first time reading this chapter what does this remind you of? We know that servers took a huge movement into virtualization to combat server sprawl. The Nexus is attempting a similar approach to add to their portfolio. What is interesting to me is the Nexus was first introduced in the beginning of 2008, which makes the NX-OS product six years old. For the exam go over the chapter and review questions as always ask questions if you have any by commenting below. Next Post Inter-VLAN Routing on the Nexus 5k.